Long recognized as one of the timeshare industry’s most prolific visionaries and energetic entrepreneurs, Edwin H. (Ed) McMullen, Sr. has been a leading force in the foundation and growth of the industry. In 1977 (some 40 years ago), the timesharing industry was a mere blip on the real estate horizon. You could count the number of timeshare resorts on your fingers and toes when Ed and his partner Robert (Bob) Miller were introduced to the concept through their banking relationship with Keith Trowbridge and his company, Captran Resorts, and soon thereafter to Bob Taylor and Allen Ten Broek of the Mariner Group, all of whom had launched their first timeshare entries into the business with Florida resorts on Sanibel and Captiva Islands. Ed and Bob were intrigued by the timesharing concept and spent the year researching it. They created a vision to build a system of purpose-built resorts using the timesharing concept in several major vacation areas throughout the U.S. Based on the best locations from their research, Sea Pines Plantation on Hilton Head Island was selected for their first resort. It’s important to understand that vacation products at that time were focused primarily on resort hotels and standard hotel rooms – long before any organized systems of vacation homes. There was little attention given to growing families of the Baby Boomer generation and their desire for a new type of vacation product. The concept of a well-designed and furnished vacation home (condominium) with a full kitchen, multiple bedrooms and baths that could be purchased and financed over time – as well as exchanged for other locations – was a perfect competitive product for the resort hotels … and suddenly a new industry was born. Today’s ARDA was then ALDA (American Land Development Assoc.) headed by Gary Terry and joined by legal visionaries Stuart Bloc and Bill Ingersoll. Between them they guided the industry though its organizational years, focusing on legal and regulatory foundations that were essential if it were to become a national industry. On the developer and exchange side of the business several others who deserve the “Pioneer” label include Jon and Christel DeHaan founders of RCI; Mario Rodriguez, Tom Davis and Craig Nash, founders of Interval International; Bob Burns with Vacation International and George Donovan of Fairfield (later Bluegreen Resorts. All of them sealed their place in timeshare history. Each of these true entrepreneurs and visionaries has left their own unique imprint on the industry they helped build. Many of their early ideas and concepts are deeply oven into the tapestry of today’s vacation ownership programs. At MORI, Ed was responsible for strategic planning, product development, and marketing and sales from 1984 to 1990, when he completed his contract with Marriott. With boundless energy, his next venture was launched in 1991 with the Mariner Group and the formation of Grand Vacations Company. Hilton Hotels joined the new company in 1992 and Hilton Grand Vacations (HGVC) – Ed’s second hospitality-branded timeshare company – was born. Ed sold his interest in HGVC to Hilton in 1998. By this time, vacation ownership was the rising star on the vacation horizon and Ed had played a significant role in making this happen. Operating as a family partnership through a variety of special purpose legal entities more generally described today as McMullen Development (www.mcmullendevelopment.com) Ed has worked with his sons in numerous projects in mixed-use resorts, fractional shares, and retirement communities. Those efforts have included partnerships with The Ginn Companies, with the Legendary Company and the development of Emerald Grand in Destin, Florida, as well as the development of Wisdom Ventures, a retirement-based product. Along his 40-year timeshare journey, Ed was named Timeshare Professional of the year in 1984, served as ARDA Chairman from 1997-1999, and was a Founding Director and Vice President of the ARDA International Research Foundation. Among his numerous national and international awards is ARDA’s coveted Lifetime Achievement Award, the association’s highest recognition, in honor of his distinguished career. He has also been active in the American Hotel and Lodging Association, the Urban Land Institute and has served as an officer in its Resort Development Council and its International Resort Committee. Today, McMullen Development is optimistic about the timeshare industry’s future, although they believe it will become significantly different with a re-positioning and consolidation of the older independent Legacy resorts and their owner bases into a new branded system. They are also focused on the aging demographics of not only timeshare owners – principally in the Legacy resorts – but the aging and retirement market in general. They have developed Wisdom Ventures to deliver more Intergenerational experiences and provide greater attention to health and wellness. They are currently working with several universities to develop a new product to be named Intergenerational University Affiliated Retirement Communities. It is clearly evident that the driving force of life for Ed McMullen is the management of time balanced by the art of living. 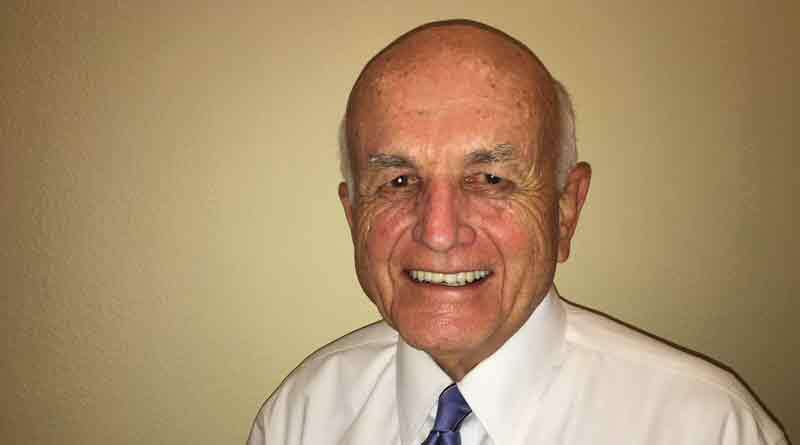 During his 81 years (with half of them in the timeshare industry), he has also learned that change brings opportunities and excitement to life. This zest for living positions him well to continue to find new opportunities every day.